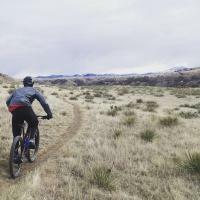 Forums › Mountain Bike Forum › New wheelset? tonkota 3 years, 11 months ago. Hey guys I am currently on a 2015 trek fuel ex 8 27.5. I have done small upgrades just to make the bike a little lighter and more comfortable with things like carbon bars, seatpost, saddle rails etc. I went tubeless which made a huge difference but now I am looking to make the biggest investment in buying a new wheelset. I currently run a 2×10 with the chain rings be 11-36. I have a budget of about $1200 and want to go the biggest bang for my buck? Any suggestions? I am a fairly aggressive rider so I need something somewhat tough but do need to pick up some speed as this is going to be my race bike until I can afford to get into a superfly or go to a specialized epic to race. I currently have the stock duster elite wheels which have been ok for the time being but as we all know "ok" just won’t cut it. I looked into Mavic Crossmax XL but I am most certainly open to suggestions. I don’t have a lot of experience with brands, but have run Industry 9 wheels on two bikes now and they are both amazing sets. My brother bought a Roval(by Specialized) carbon set ($1,200, so right at your budget cap) and is in love with them. Light and stiff. I rode the bike a few times before and after the switch and couldn’t believe the improvement. Thanks Schwim! Which I nines did you have? I looked into I nine and everything I read was overwhelmingly positive. Did you put them on aftermarket or did they come stock on the bike? A friend of mine is taking delivery of a specialized stumpjumper FSR carbon expert and I think it has roval but I highly doubt he has the carbon wheelset but I will have to check them out as well. Is that $1200 for the set you are referring to or per wheel because I have seen some carbons get easily over the $2000 mark for a set. Thanks again for the input! Both my I9’s were the enduro set. One their older gen hubs and one set with the newer hubs. They are indeed rock solid. Both were isntalled aftermarket. As for the Rovals, it’s for the set. Here’s the spec sheet. 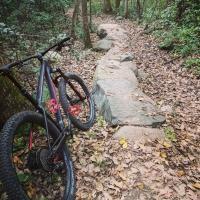 Talk with dgaddis here on singletracks or visit http://southernwheelworks.com/ and shoot him an email. He built my Stan’s Arches and they were bomb-proof, he may deal with carbon rims also. He was spot on in suggesting my hubs to me. Thanks for the specs schwim. That buddy of mine told me today he has the carbon rovals coming on his stumpjumper so I definitely will check those out. As far as the 9s I have been dying to get the enduros but everywhere I have checked I cant get them in under my budget. The may have to wait for the day I can invest in another race bike. Jared I will definitely contact dgaddis I never even thought about finding someone on here experienced in wheel building. Did he have a pretty good turn around? I have Arches mated to Hope Evo Pro 2 hubs and love ’em. I’m over 200lbs and definitely not a finesse rider, so I can safely say they’ve held up well under pressure. I’m fit over 210 and I run the Azonic Outlaw’s on my Fuel EX. Those Bontrager Dusters couldn’t take much of a beating in my opinion. Got sick of having to true them up. I’m an aggressive rider and I’ve rode on different tough rocky mountains ranges and these wheels are solid. Granted, they aren’t the lightest, but I want durability, weight isn’t an issue. Yeah I feel you on the dusters. They have been alright but I am still under a year of time riding but the more and more aggressive I get the more of a beating they take and are starting to become less and less reliable. Good information for sure especially because I also belong to the 200+ club and my riding can be classified as hitting things as hard as I can and hoping for the best. I will have to check on the Arches and Azonic with my LBS and see how much dealing they do with them. I may have to sacrifice a little weight to get something tough. I feel like I can train harder to get faster but can’t do anything if the wheels won’t hold up to the beating. His turn around time was perfect. I was driving from Texas to California. The wheels and I arrived at my destination on the same day, which is what we were both shooting for. sounds perfect! Thanks again I will shoot him an email this week! He built a freakin awesome set for my Kona. Made a really great difference to the way the bike felt.